Over the course of the medium’s history, many extremely talented photographers’ pursuits have somehow managed to fly under the radar. For every success story, there are countless who, for various reasons known or unknown, are grossly overlooked or underrated. Occasionally a few of those talents resurface, often decades later, for a brief moment of attention. A recent book from RRB Photobooks on the portrait work of British photographer John Myers is one of these rediscovered bodies of work well worth its moment. Myers’ images arrest us in part because they describe the vibrant 70s in all their kitsch and glory, but for the more patient viewer, those historical markers are simply an entry point leading to the persons photographed. 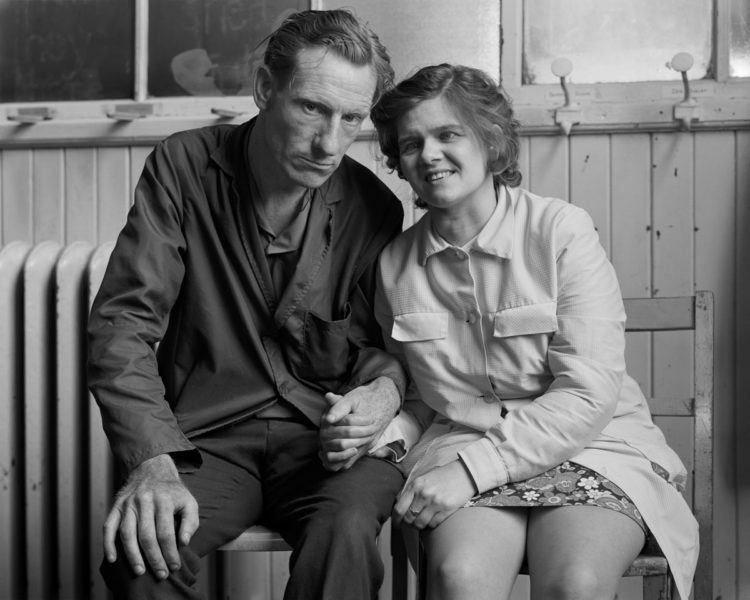 What is remarkable is how often Myers was able to infuse the best of his portraits with a sense of empathetic human-kindness informed by the subtlest of clues, in a similar manner to August Sander or a contemporary like Judith Joy Ross. 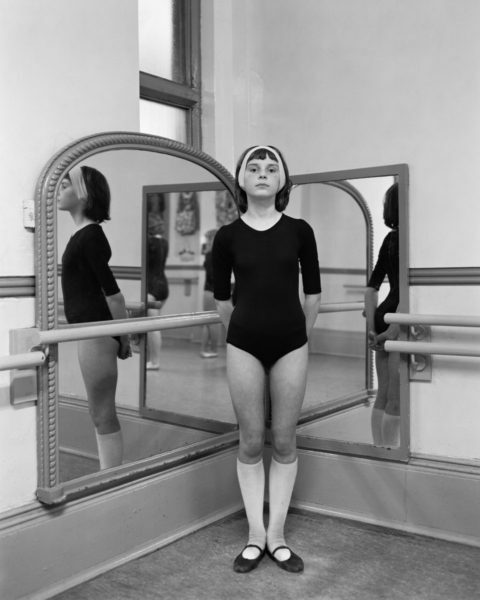 Myers, within just a year of picking up a camera, becomes adept at the weighty transaction between sitter and photographer to make pictures that speak to both the individual and universal qualities in people. These portraits provide for us meaningful emotional links to strangers in the space of a photograph that transcend distance and time and certainly Donny Osmond posters or antique furnishings. In the best, those set pieces are mere opening acts. 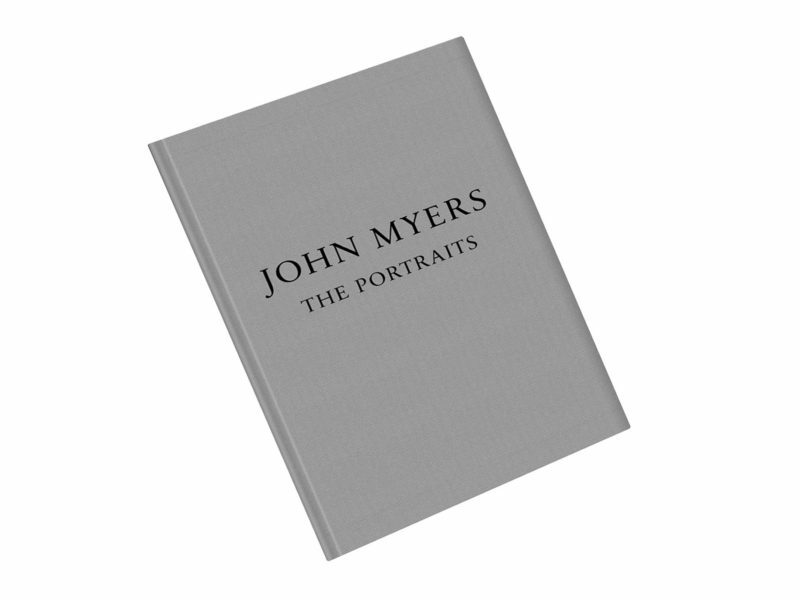 Instead we can’t help but to study the faces and postures of Myers’ sitters and see sometimes they can link to something almost primal inside of us – like a fallen child looking to its mother’s expression to know whether to laugh or cry. 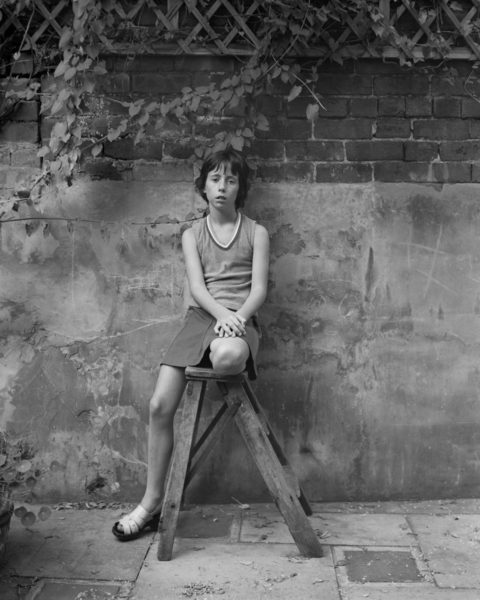 A young bricklayer standing in a doorway poses with a smudged face but seems more conscious of his dirty hands; a girl (Louise, 1975) sitting with tucked knee on a two-step ladder, while summoning patience for the camera her slack face seems to be looking past “us” and seeing perhaps how ordinary her life might be; a ballerina (1973) stands before us in black leotard and white knee socks, the projection of confidence coming straight through a tightened jaw and ever so slightly raised chin; a couple (Charles and Pamela, 1973) sit in what looks to be a coatroom – he feels composed of equal amounts of strength and sadness, stooped almost as if he knew straightening his back would put the top of his head out of the frame. He seems to harbour a secret he can’t speak out loud. She sits with an exuberant look smiling widely, eyes bright but seemingly seeing nothing (is she literally blind? ), their hands clasped at the centre of an emotional divide. If the photographer wishes us to cry, he has enabled a moment for us to do so.